Our last but certainly not least stop on the Looking Glass hop is Shelley who blogs over at The Carpenter's Daughter Who Quilts (www.thecarpentersdaughterwhoquilts.com). Shelley was one of the first wonderful quilty women I made a connection with when I joined the online quilting community. She has made a number of quilts based off my patterns and has been a wonderful sounding board and quilting friend to me. 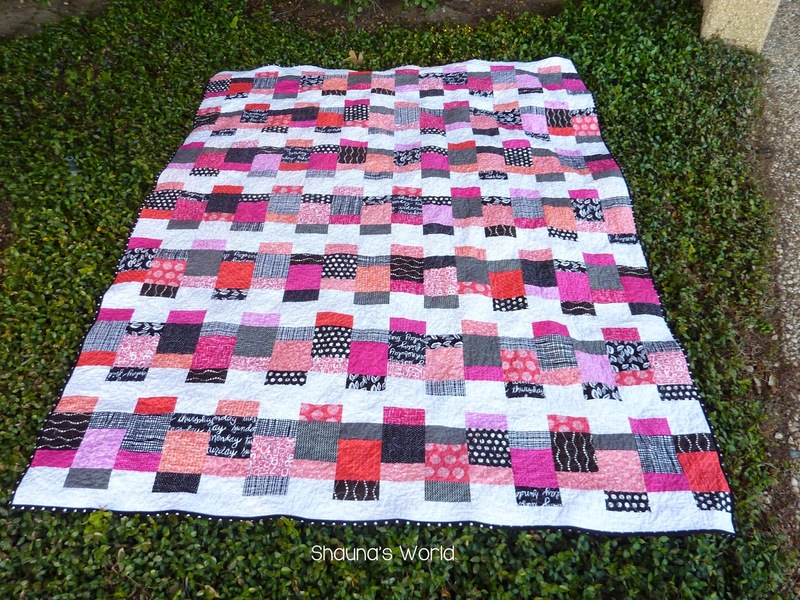 I am so happy that she decided to share her wonderful quilts with the world by starting her blog over the summer. 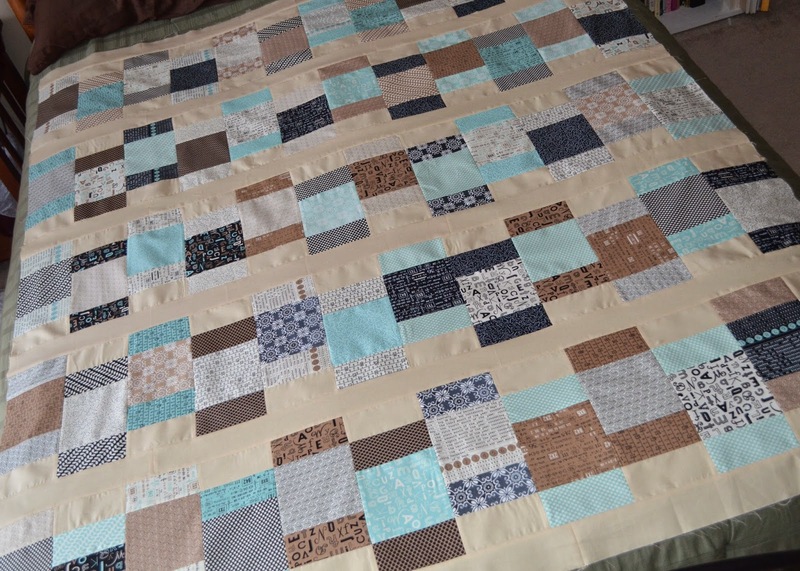 Shelley loves to make bigger quilts and wonderful quilt backings, she made a queen size version of Looking Glass using Comma by Zen Chic for Moda. Thank you so much Shelley for reviewing for me! 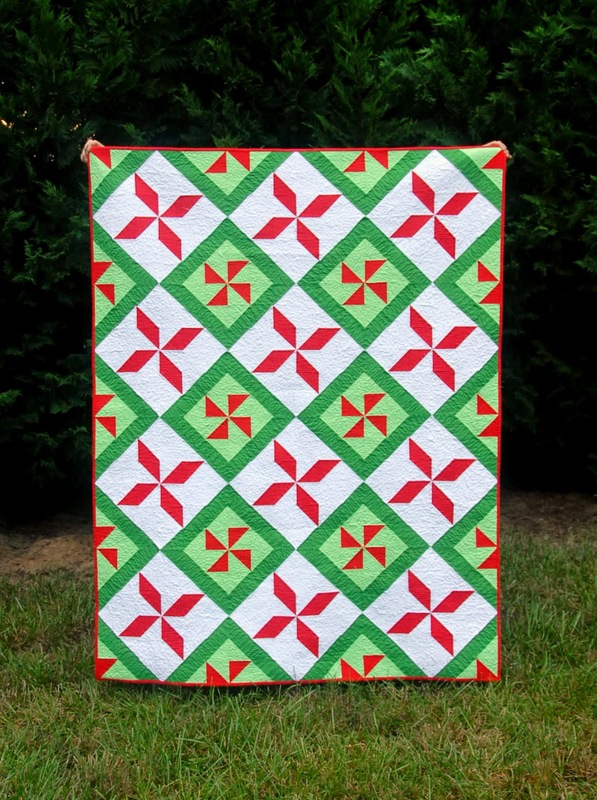 Please hop over to Shelley's Blog for more pictures of her quilt and a giveaway for a digital copy of the Looking Glass pattern! Today I would like to highlight one of my reviewers Debbie who does not have a blog (yet). Debbie contacted me when I put out a call for pattern reviewers for Looking Glass and I am so glad that I have had the chance to get to know her. 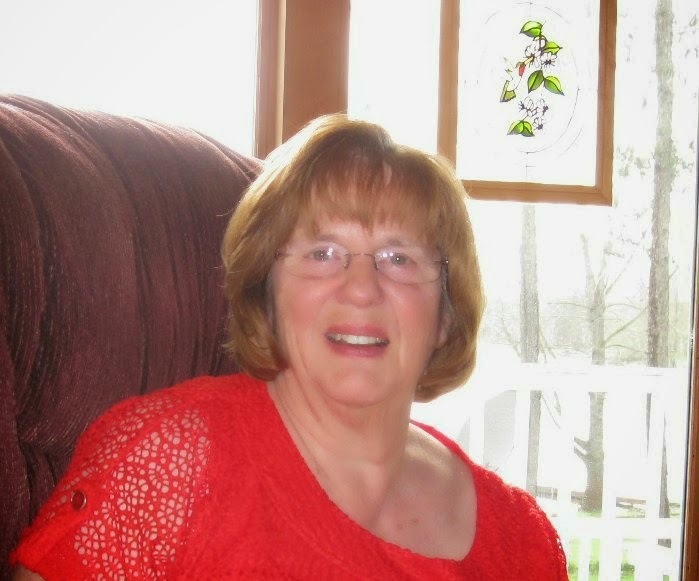 Debbie is a nurse and has been married to her wonderful husband for 36 years. She has two grown children and two grand girls. Debbie started quilting in 1999 when she stopped in a local quilt shop and signed up for a class. In addition to quilting she enjoys exercise, especially running having run a half marathon the same year she started quilting. 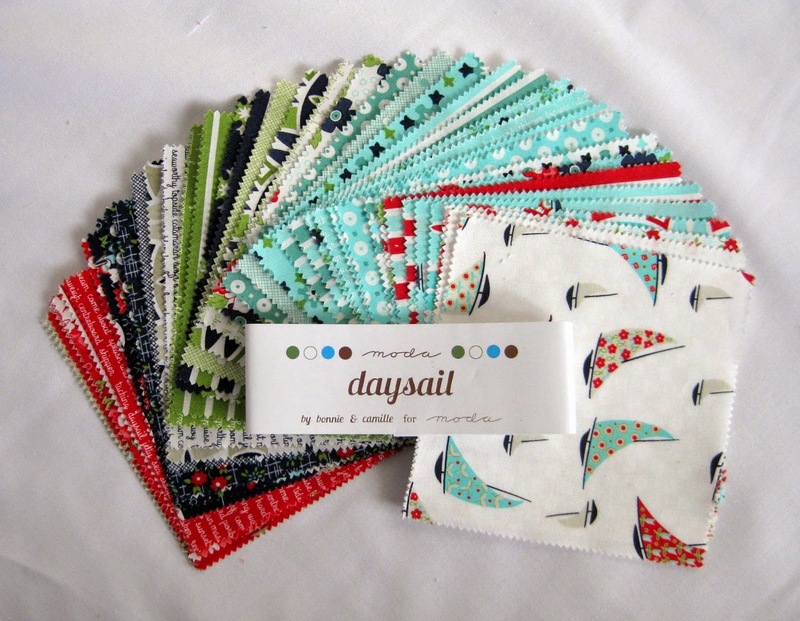 Debbie used a fat quarter bundle purchased from Pink Castle Fabrics along with a few other fabrics from her stash. Here is her lap sized version of Looking Glass, I love it!! Thank you so much Debbie for reviewing for me! The third stop on the Looking Glass Blog Hop is Shauna who blogs over at Shauna's World. I also met Shauna through the New Bloggers Hop (The hop was so full of wonderful women). 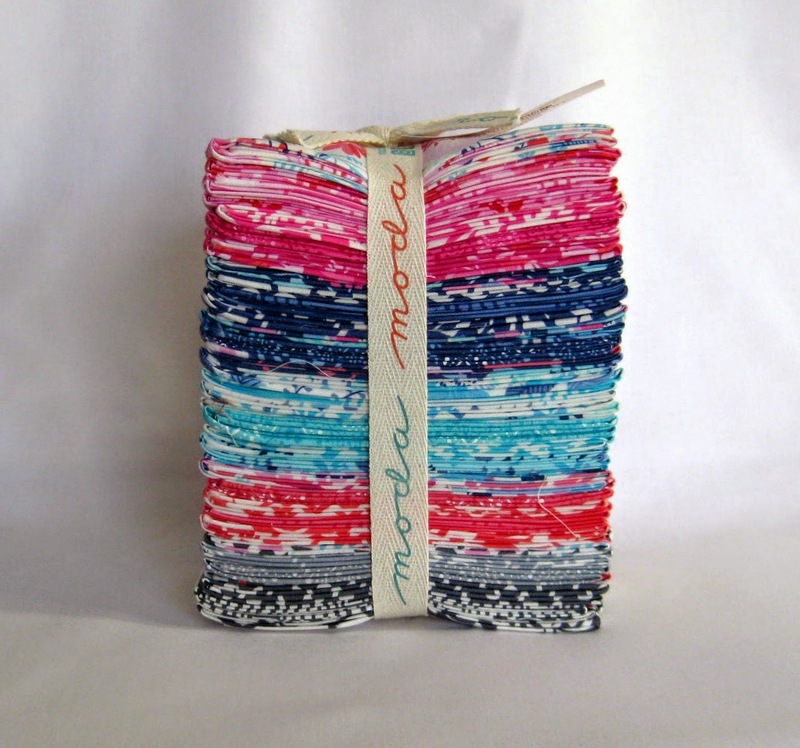 Shauna loves digital scrap booking and got into quilting very seriously in 2012 when she bought her long arm. Shauna made the twin sized version of Looking Glass using a variety of pink, red, and black prints. Please hop over to Shauna's Blog for more pictures of her quilt and a giveaway to win a digital copy of the Looking Glass pattern! Thank you so much Shauna for reviewing for me! 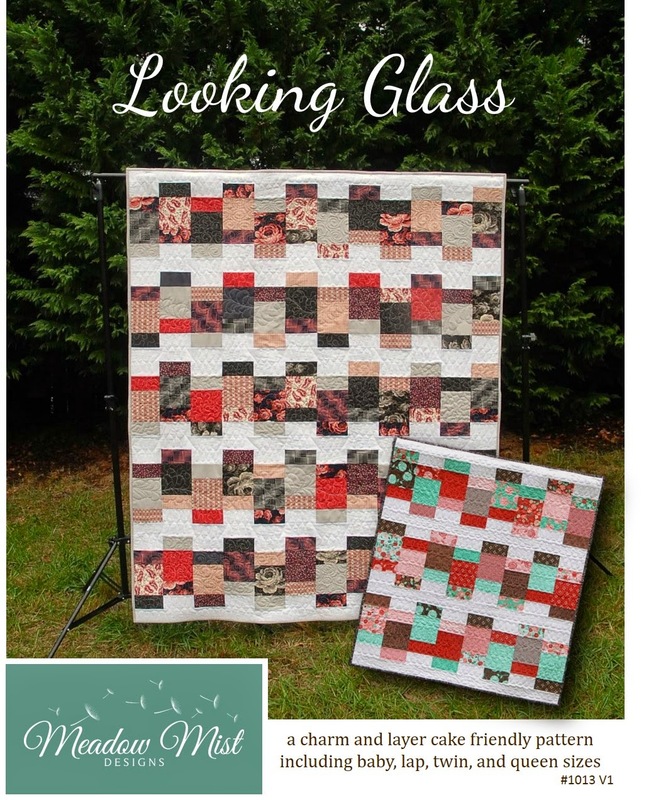 Our next stop on the Looking Glass Blog Hop is Chelsea who blogs over at Patch the Giraffe. 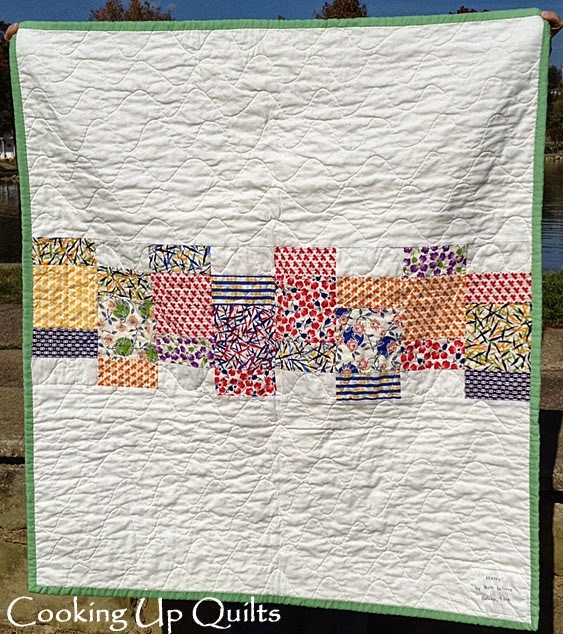 Chelsea is another wonderful quilter that I met through the New Blogger's Blog Hop. She has a degree in architecture with a minor in art and now teaches middle school. 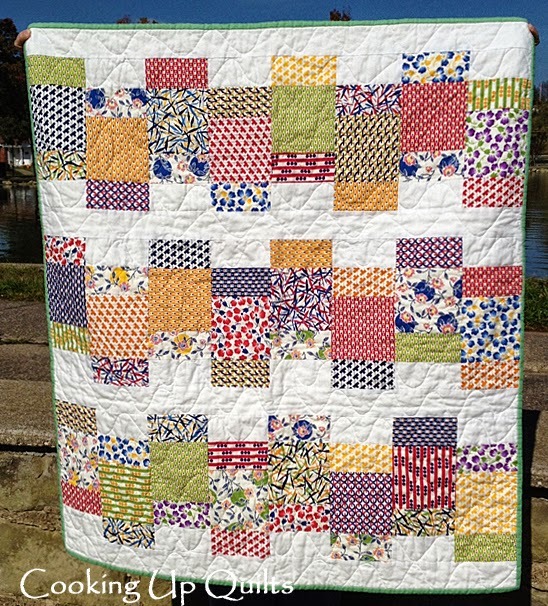 Chelsea has amazing color sense, I love how she combines quilt designs with different colors and prints. 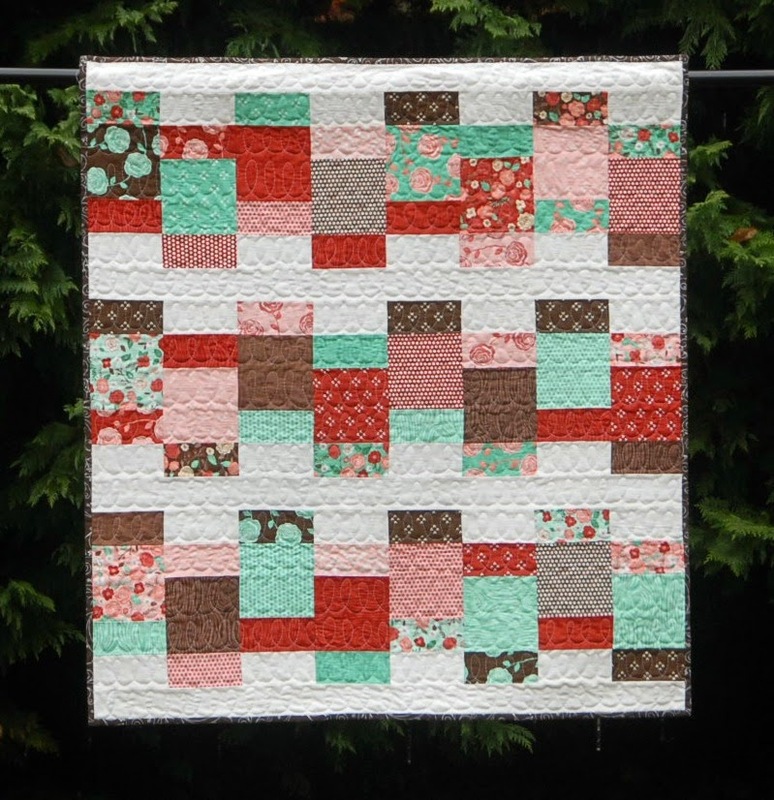 Please hop over to Chelsea's Blog for more pictures of her quilt and a giveaway to win a digital copy of the Looking Glass pattern! Our next stop on the Looking Glass hop is Anna who blogs over at Fresh Dew Drops (www.fresh-dew-drops.blogspot.com). Anna is a homeschooling mom of eight who began quilting in 2009, but has been sewing since she was a teenager - clothes, valances, baby blankets, bags and totes, superhero capes, etc. The quilting bug is alive and well in Anna's home, with her 13-year-old daughter having just finished her first quilt top. Anna made a lap size Looking Glass using Elementary by Sweetwater for Moda. Thank you so much Anna for reviewing for me! 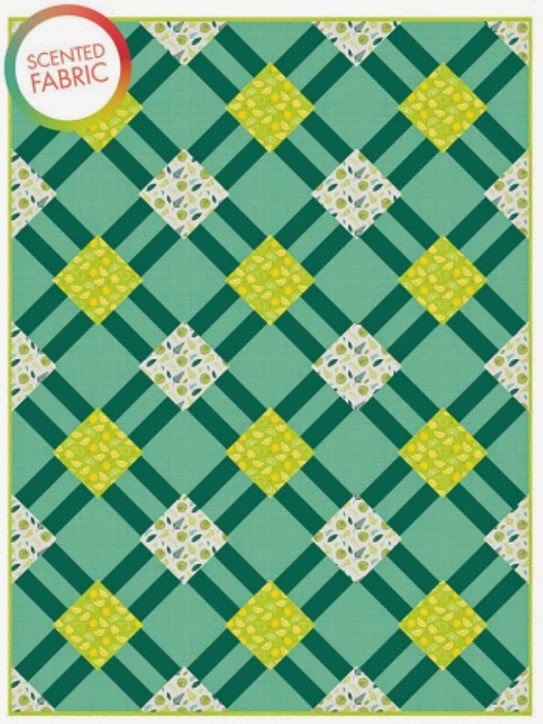 Please hop over to Anna's Blog for more pictures of her quilt and a giveaway for a digital copy of the Looking Glass pattern! 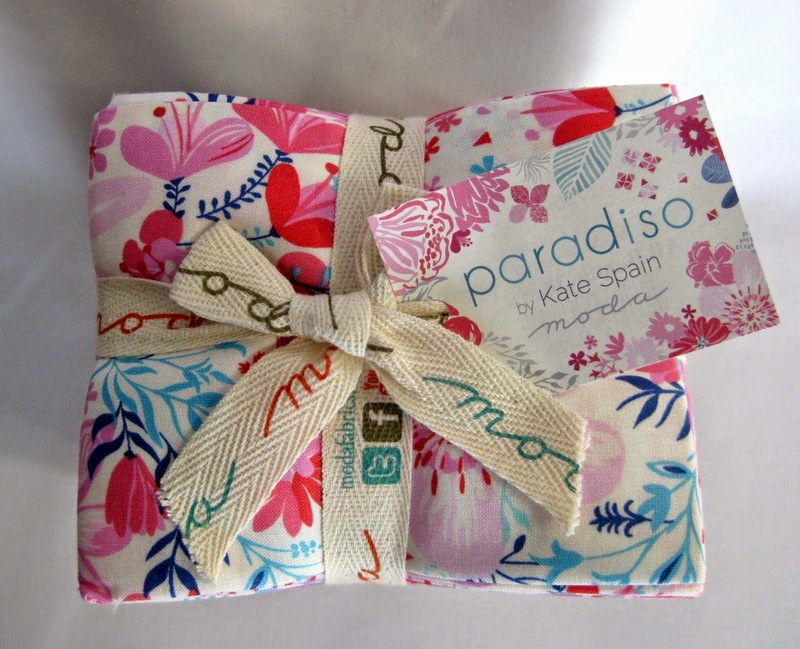 The next stop on the Looking Glass Blog Hop is Michelle who blogs over at From Bolt to Beauty. I met Michelle when she had posted her version of my Candy Circles quilt pattern I had posted on the Moda Bake Shop. I think that she might be my long lost quilting twin, we have very similar tastes in fabrics, I love all of her quilt designs, and we have very similar aged little kids. Michelle is a self-taught sewist. She loves making bags, pillows, and simple garments. 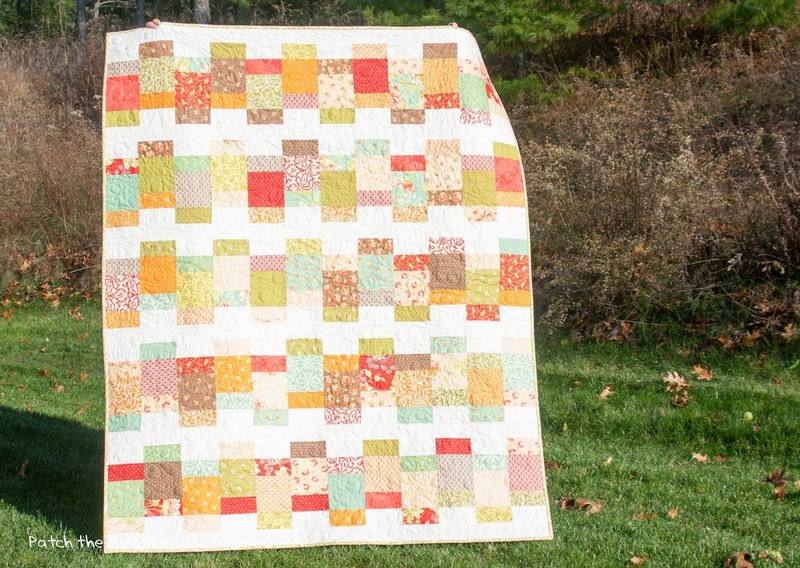 Her hobby turned into a true obsession, however, when she made her first quilt, in the summer of 2013. 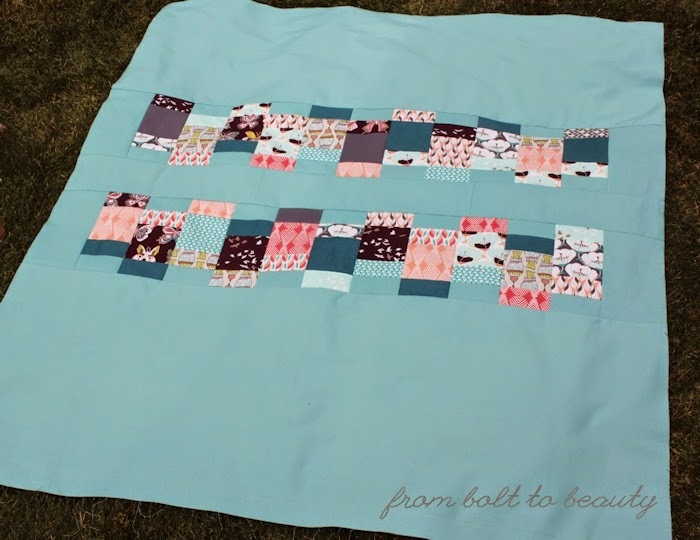 Now, over a dozen quilts later, she squeezes in time at her sewing machine whenever she can, recording her creative adventures at From Bolt to Beauty. 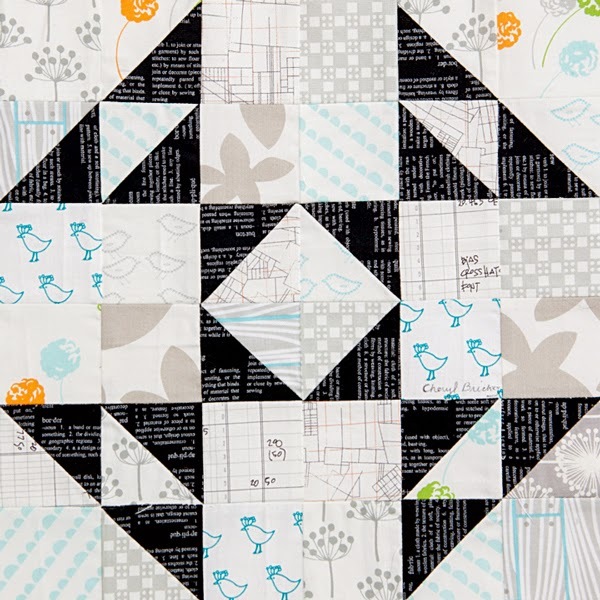 I love Michelle's twist on the spacing of the rows on the front and back of the quilt. Thank you so much Michelle for reviewing for me! 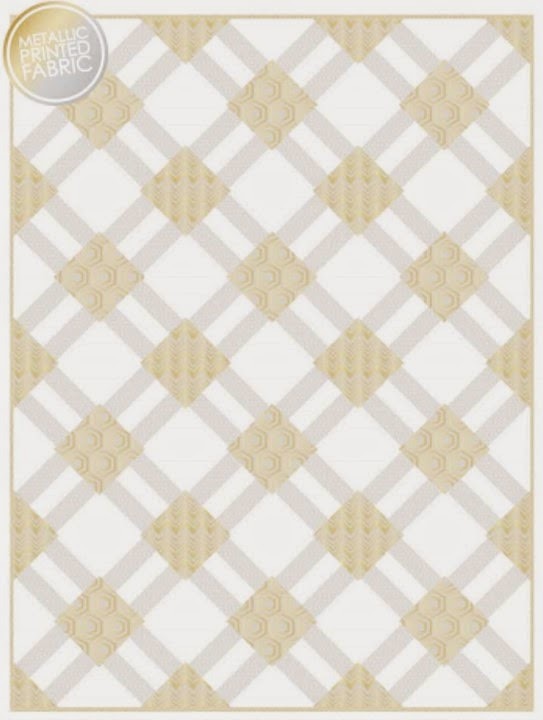 a digital copy of the Looking Glass pattern! 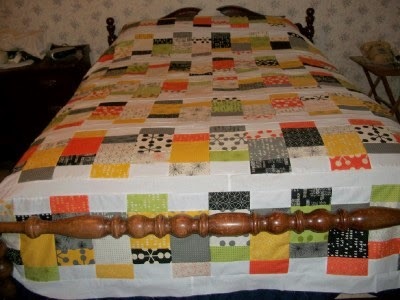 The next stop on the Looking Glass Blog Hop, is Beth who blogs over at Cooking Up Quilts (www.cookingupquilts.com). I met Beth through the 2014 New Quilt Blogger Blog Hop and she makes some absolutely beautiful quilts and bags. She is also quickest tester in the country! I am honored to have her pattern test again for me. She made a wonderful version of Scrappy Tiles which can be found here. 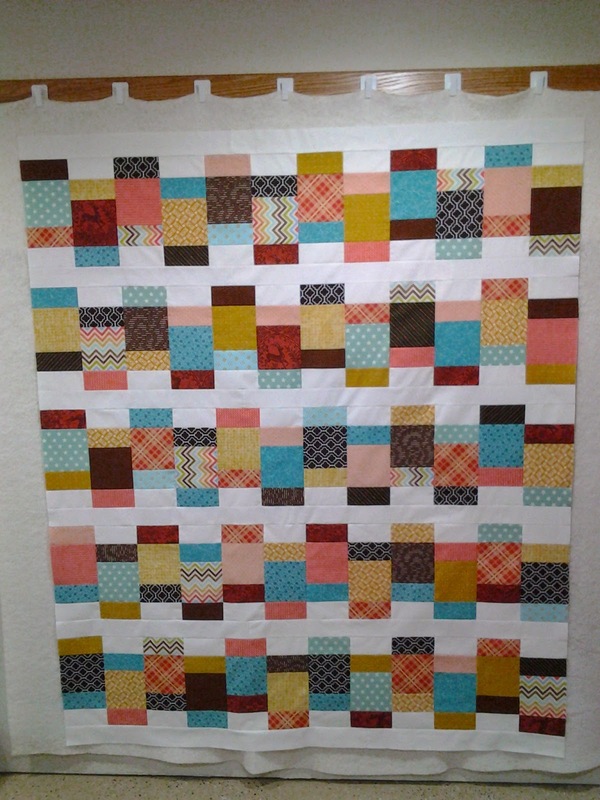 Here are some pictures of her finished baby version of Looking Glass that she is calling Happy Quilt. I would agree that the quilt is very happy! 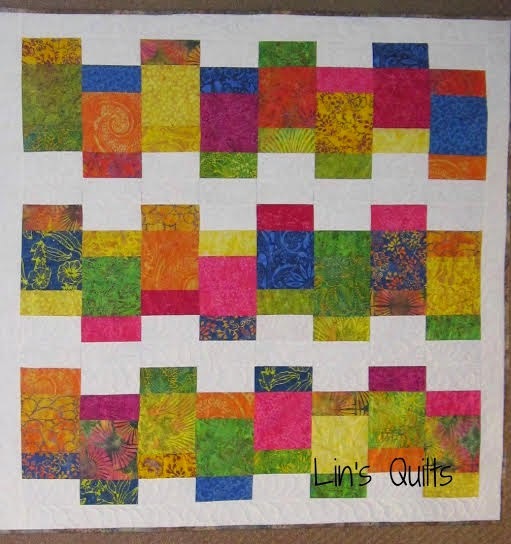 I love how she used an extra row of blocks in the quilt backing, it really is a two-sided quilt. Thank you so much Beth for reviewing for me! 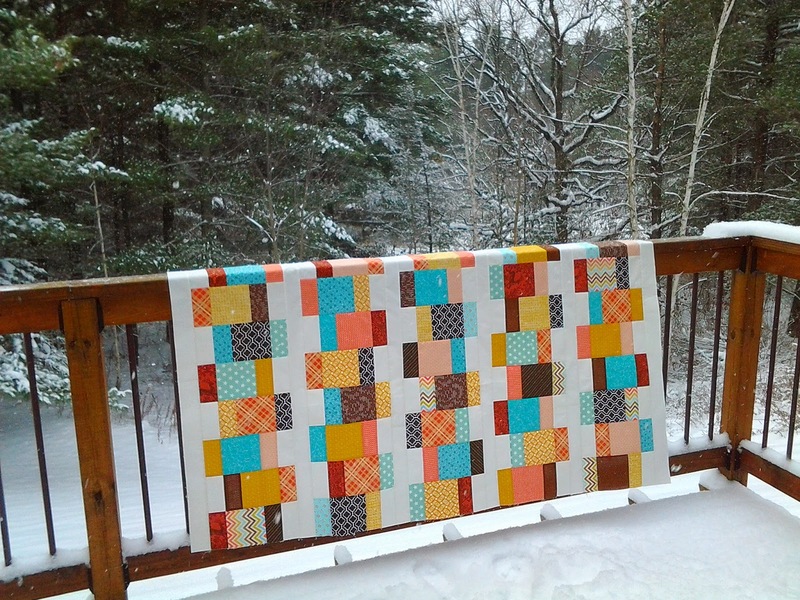 Please hop over to Beth's Blog for more pictures of her quilt and a giveaway for a digital copy of the Looking Glass pattern! 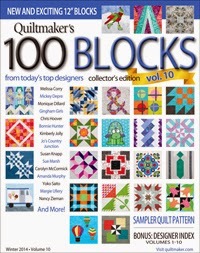 Welcome to my stop on the Quiltmaker's 100 Blocks Vol. 10 Blog Tour! I submitted a block for consideration for the magazine not really thinking that it would be accepted and was so excited when I got an e-mail telling me that Sewing Triangles would be included in Volume 10. I love to play with half square triangles (HST) and low volume prints for a background so with a little playing I came up with Sewing Triangles. 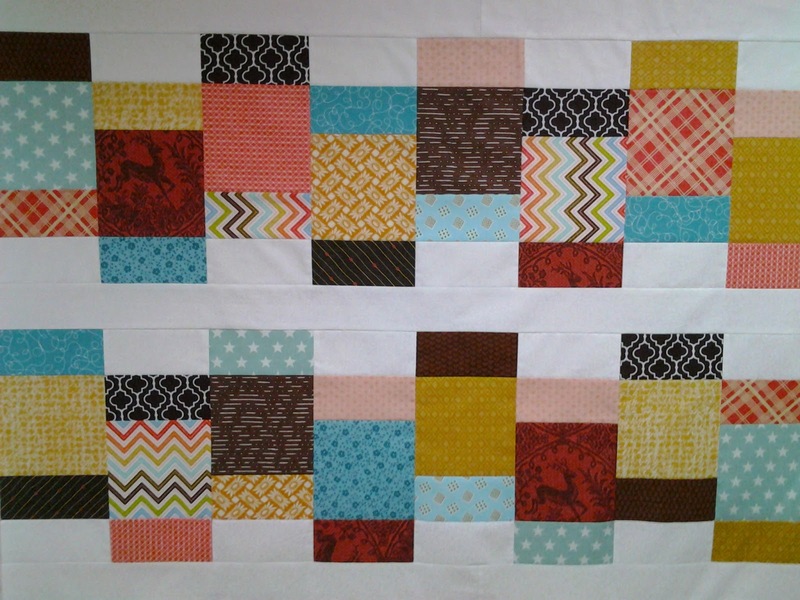 If you make a bunch of blocks and add a border you can have a lap sized quilt with a great secondary pattern emerging. Thank you so much for stopping by, I hope that you have a chance to check out some of my recent finishes and check out my mystery quilt-a-long :) If you would like to follow my blog, there are buttons for bloglovin, feedly, and email in the upper right hand part of the blog. To enter, just leave a comment telling me if you plan to make some handmade gifts for the holiday season this year. The giveaway will run for 1 week, until 8pm EST on November 25th. I try to respond to each and every comment I get on my blog, but with giveaway posts the numbers are usually too great to do this. If you are a no-reply blogger, please leave your e-mail address. If I can't reach you, you can't win. 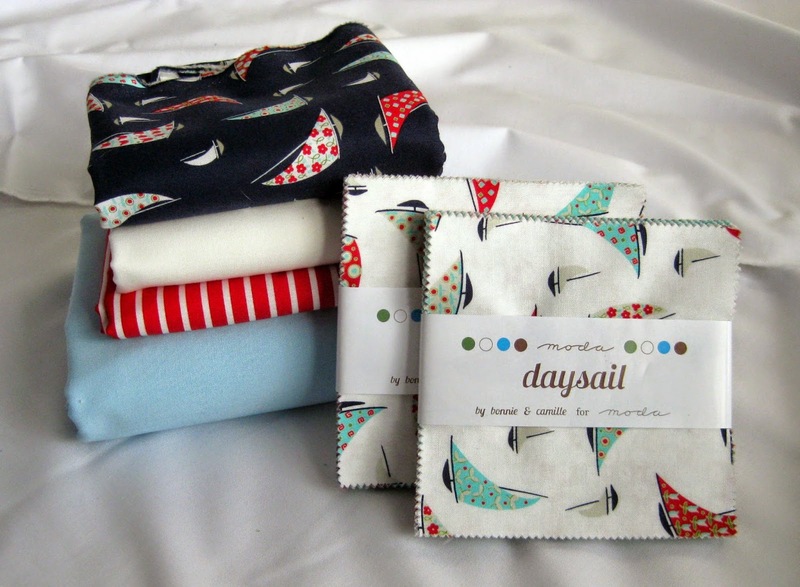 I am linking up to MOP Monday @ Tweety Loves Quilting, Anything Goes Mondays @ Stitch by Stitch, Fabric Tuesday @ Quilt Story, and Sew Cute Tuesday @ Blossom Heart Quilts, and Show and Tuesday @ Freshly Squeezed Fabrics. I have the honor of having contributed to the 19th Issue of Fat Quarterly - Christmas. 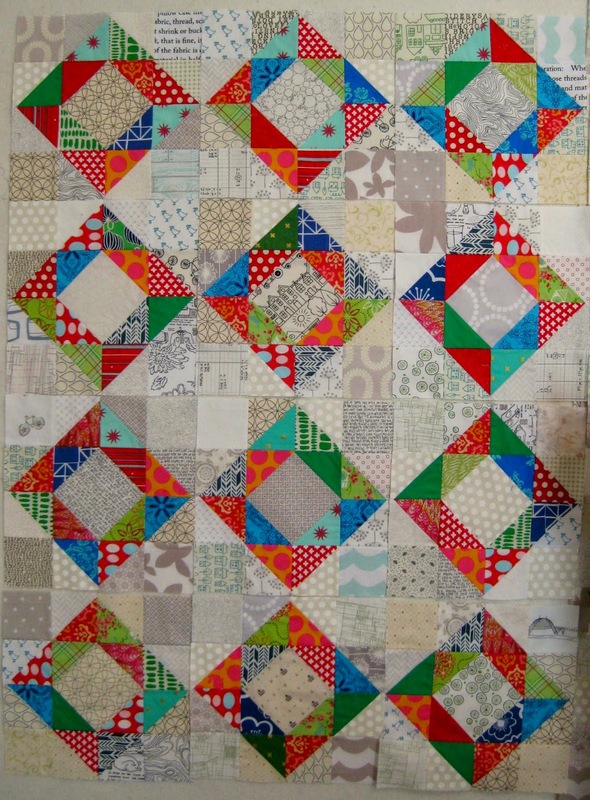 My design uses solid fabrics and lots of half square triangles to create a fun, modern, and very geometric Xmas quilt. 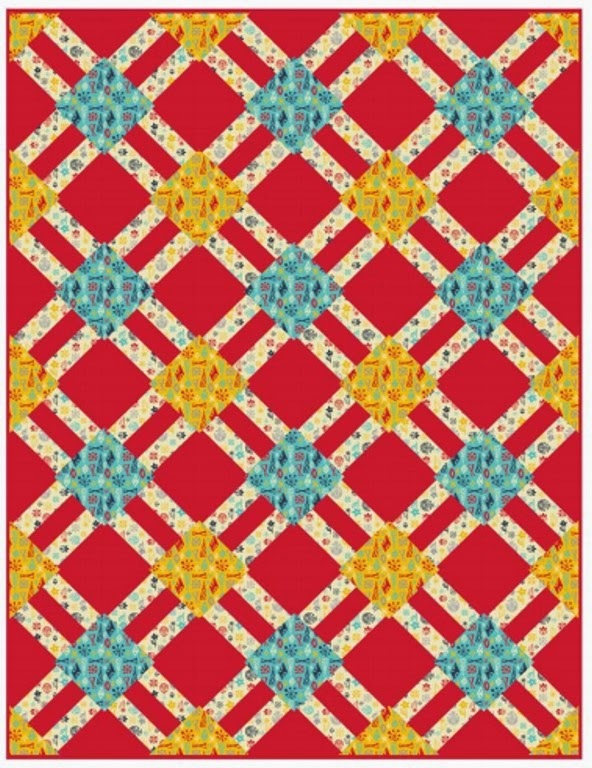 You can check out a preview of the magazine here to see all of the other Christmas quilty goodness. I am very happy to link up with Let's Bee Social @ Sew Fresh Quilts and Needle and Thread Thursday @ My Quilt Infatuation. 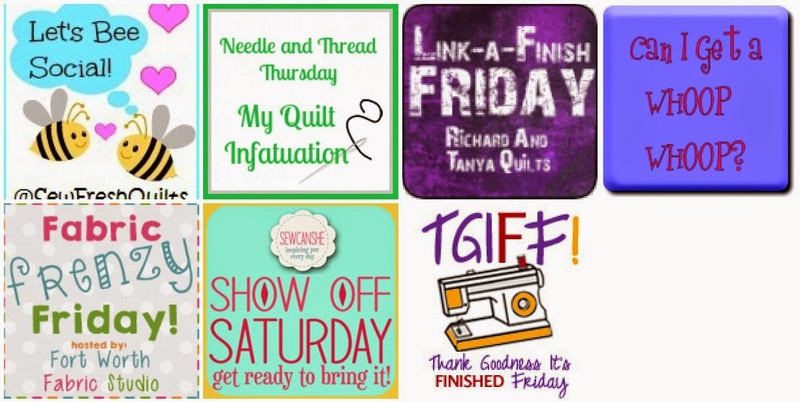 I am also linking up to Link a Finish Friday, Whoop Whoop Friday, Thank Goodness Its Finished Friday, Finish It Up Friday, Fabric Frenzy Friday, and Show Off Saturday @ Sew She Can. Here is a picture of my 12 finished Diamond Blocks, with their scrappy goodness. 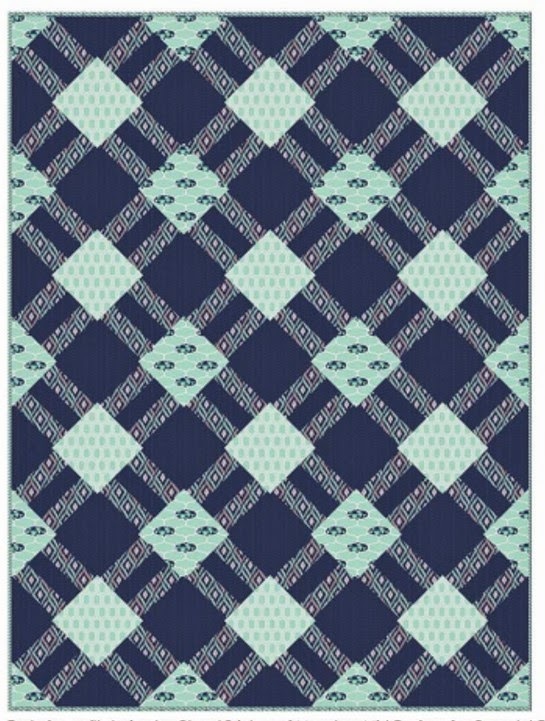 I am happy to introduce my second quilt pattern for Camelot Fabrics called the Best Wishes Table Runner which is now available as a free download on Camelot's website here. 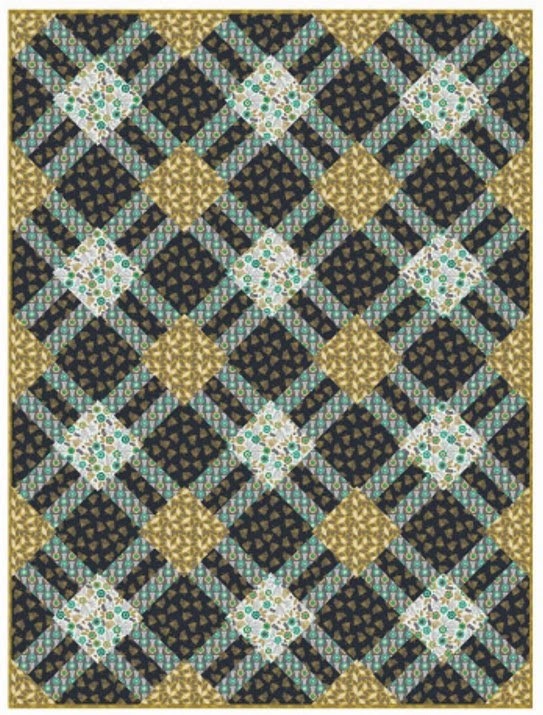 The quilt pattern is a modern take on a classic quilt block, and is shown using the Paisley Please by JACK!E for Camelot Fabrics. 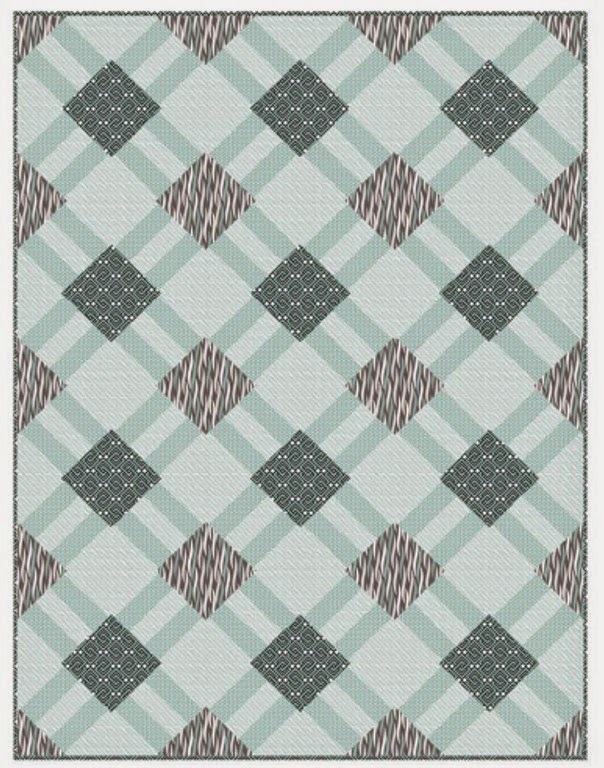 By adding some more blocks, you could easily make this pattern into a baby, lap, or bed quilt. 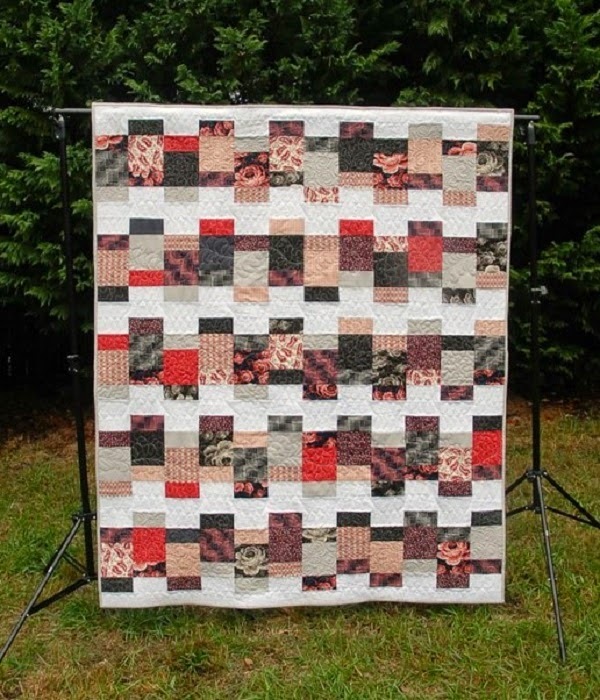 Welcome to the November instructions for the Foothills Mystery Quilt-a-long! 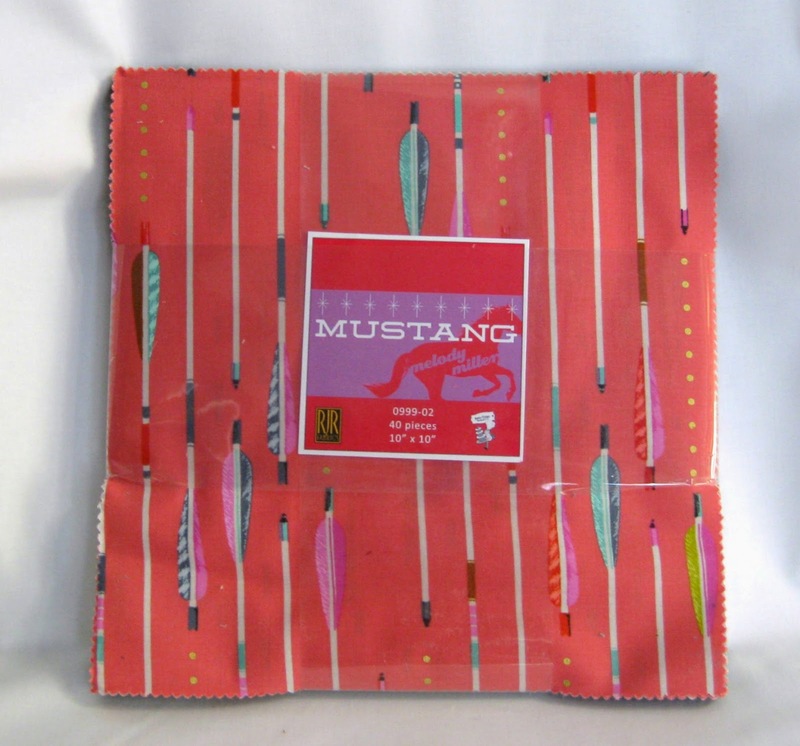 The instructions for previous months can be found in the Foothills Mystery Quilt tab above. The monthly instructions will be posted on the first Thursday of each month. 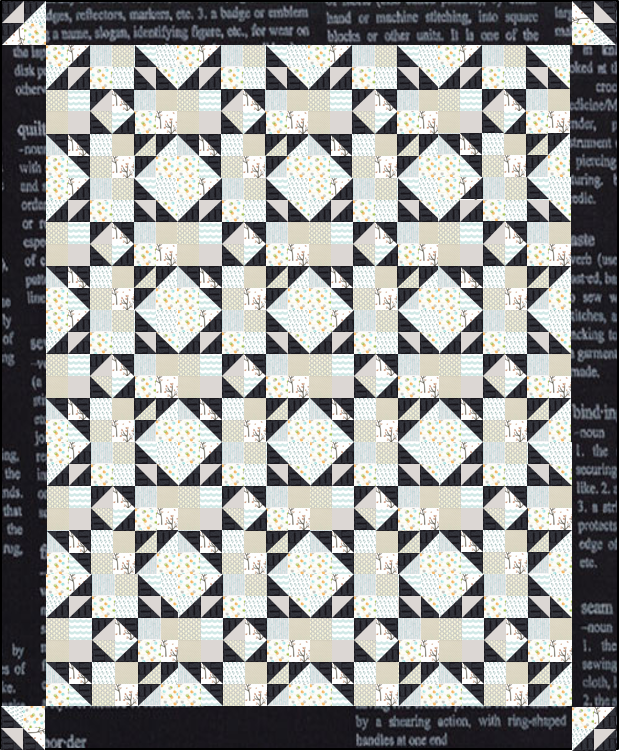 And now onto November's instructions, we will be making 12 Diamond Blocks (12½” x 12½”) using some of the HSTs from September and the Square in a Square blocks from October. 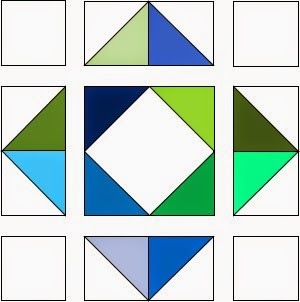 Using 96 HST units (3½” x 3½”), 12 Square in a Square (SiaS) units (6½” x 6½”), and 48 fabric set B squares (3½” x 3½”), form 12 diamond blocks. A. Sew 96 HST units into 48 double HST units (3½” x 6½”). B. 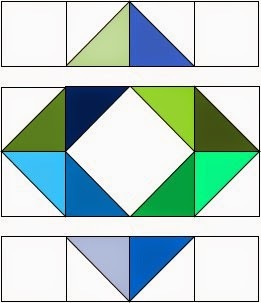 Using 1 SiaS unit, 4 double HST units, and 4 fabric set B squares, arrange as shown below. C. Sew units into rows, pressing seams open. D. Sew rows together to form blocks, pressing seams open. 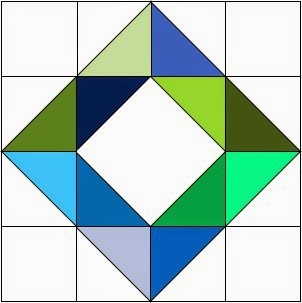 Repeat to form a total of 12 diamond blocks (12½” x 12½”).